Pioneers in the industry, we offer nitotile grout ivory ral1014 (1kg), nitotile epw grout ivory, nitotile gpx (30kg) tile adhesive, nitotile mpa (30kg) and nitotile gta (37.5kg) from India. Uses To provide a hard wearing, easily cleaned, attractive tile grout where chemical resistance is required. Advantages „ Resistant to mild chemicals and acids „ Solvent free - can be used in confined areas „ Good resistance to abrasion and impact resistance „ Attractive appearance, easily cleaned „ Available in a range of attractive colours „ Resists bacterial growth „ Hygienic - good to use in Laboratories, Hospitals and Health centers „ Good to use in wet area, fountains, swimming pool, kitchen, bathroom and Sauna „ Water miscible - safe in use, no odour. Uses To provide a hard wearing, easily cleaned, attractive tile grout where chemical resistance is required. Advantages „ Resistant to mild chemicals and acids „ Solvent free - can be used in confined areas „ Good resistance to abrasion and impact resistance „ Attractive appearance, easily cleaned „ Available in a range of attractive colours „ Resists bacterial growth „ Hygienic - good to use in Laboratories, Hospitals and Health centers „ Good to use in wet area, fountains, swimming pool, kitchen, bathroom and Sauna „ Water miscible - safe in use, no odour Description Nitotile EPW Grout is a 3 component water miscible epoxy resin tile joint filler based on new generation epoxy resin technology supplied in preweighed packs, ready for onsite mixing and uses. Packaging Details: Packing Available In 1 kg./5 kg. 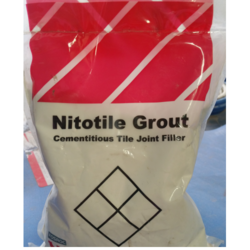 Uses Nitotile GPX is a high quality adhesive for the permanent fixing of ceramic tiles. It can also be used for fi xing of insulating and acoustic boards based on expanded polystyrene etc. Can be used in totally submerged conditions Standards compliance Nitotile GPX conforms to BS 5980 Class AA & B Type. Uses Nitotile MPA tile adhesive is a high quality adhesive used for the permanent fixing of tiles over smooth surfaces such as existing tiles, ceramic tiles or glass, subjected to damp and tropical conditions and for specialised applications such as tile on tile and tile-on-glass etc. Advantages „ Polymer modified - prewetting of tiles not required and hence less prone to cracking of mortar „ Single component - ease of application „ Non toxic - User friendly application „ Excellent adhesion on smooth surfaces - Develops high adhesive bond strength „ Non shrink - excellent bond with the substrate „ Excellent work and open wet time of 2 hrs at 300 C - allows the mason to fix tiles at ease even under hot conditions „ Self cure - does not require external curing „ Forms a dense and impermeable mortar bed - waterproof. Uses Nitotile GTA is a two part high quality polymer based adhesive for the permanent fixing of granite and marble tiles. Advantages „ Prepacked product requiring only direct mixing at site „ High adhesive bond strength - Ideal for vertical and horizontal applications of granite, marble, etc. „ Excellent grab during open time „ Quick fixing - reduces labour costs „ Can be used in the interior and exterior of buildings Application instructions Surface preparation All surfaces must be sound and thoroughly cleaned before Nitotile GTA is applied. All traces of grease and oil must be removed. All loose particles of mortar, wallpaper, paint etc., must be physically removed. The prepared surface must be wetted with water, prior to application of Nitotile GTA and must attain a saturated surface dry condition. Nitotile GTA can be applied directly on concrete, cement screeds, cement or lime mortars provided they are strong. 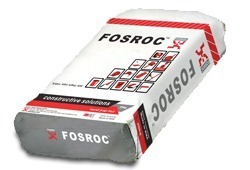 Looking for Tile Adhesive & Grouts ?